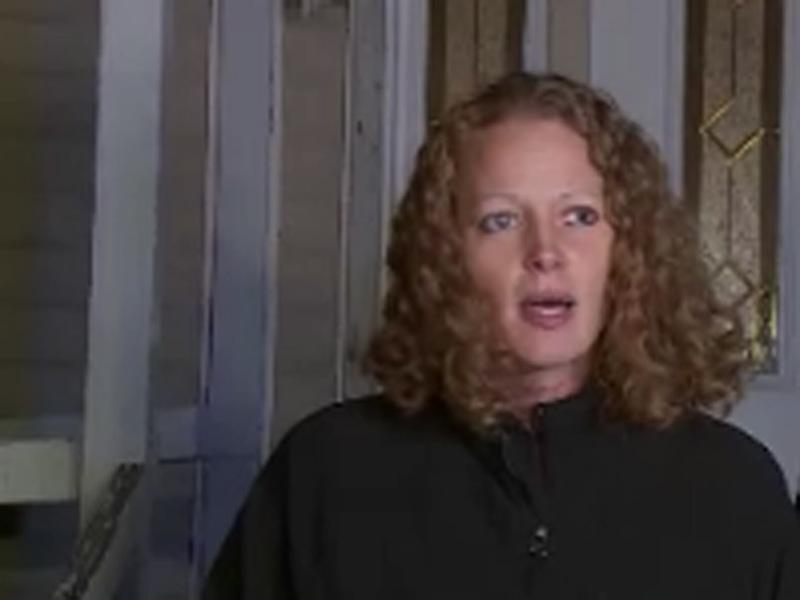 FORT KENT, Maine -- A Maine judge gave nurse Kaci Hickox the OK to go wherever she pleases, handing state officials a defeat Friday in their bid to restrict her movements as a precaution against Ebola. In a case that has come to encapsulate the clash in the U.S. between personal freedom and fear of Ebola, Judge Charles C. LaVerdiere ruled that Hickox must continue daily monitoring of her health but said there is no need to isolate her or restrict her movements because she has no symptoms and is therefore not contagious. The judge also decried the "misconceptions, misinformation, bad science and bad information" circulating about the lethal disease in the U.S.
After the ruling, a state police cruiser that had been posted outside Hickox's home left, and she and her boyfriend stepped outside to thank the judge. Hickox, 33, called it "a good day" and said her "thoughts, prayers and gratitude" remain with those who are still battling Ebola in West Africa. She said she had no immediate plans other than to watch a scary movie at home on Halloween. Gov. Paul LePage said he disagreed with the ruling but will abide by it. "As governor, I have done everything I can to protect the health and safety of Mainers. The judge has eased restrictions with this ruling, and I believe it is unfortunate," LePage said. Later in the day, the governor lashed out at Hickox, saying: "She has violated every promise she has made so far, so I can't trust her. I don't trust her. And I don't trust that we know enough about this disease to be so callous." On Thursday, after Hickox refused to stay home and abide by what Maine called a voluntary quarantine, the state went to court to try to impose restrictions on her until the 21-day incubation period for Ebola ends on Nov. 10. State health officials were willing to let her go out on a jog or a bike ride, but wanted to bar her from crowded public places and require her to stay at least 3 feet from others. In his ruling, the judge thanked Hickox for her service in Africa and acknowledged the gravity of restricting someone's constitutional rights without solid science to back it up. "The court is fully aware of the misconceptions, misinformation, bad science and bad information being spread from shore to shore in our country with respect to Ebola," he wrote. "The court is fully aware that people are acting out of fear and that this fear is not entirely rational." Hickox's quarantine in Maine - and, before that, in New Jersey, upon her arrival back in the U.S. - led humanitarian groups, the White House and many scientists to warn that automatically quarantining medical workers is unnecessary and could cripple the fight against Ebola by discouraging volunteers like Hickox from going to danger zone. Hickox contended that confinement at her home in Fort Kent, a town of 4,300 people in far northern Maine along the Canadian border, violated her rights and was unsupported by science. She twice violated the quarantine by going outside her home - once to go on a bike ride and once to talk to the media and shake a reporter's hand. In a court filing, the director of the Maine Center for Disease Control and Prevention backed away from the state's original request for an in-home quarantine and called for restrictions in line with federal guidelines - namely, staying away from crowded public places. Her boyfriend, Ted Wilbur, said Friday that the two of them weren't planning to go into town in the immediate future. "I'm just happy that Kaci is able to go outside, exercise. It's not healthy to be inside for 21 days," he said. On Monday, Hickox told CBS News chief medical correspondent Dr. Jon LaPook that chief among her concerns and that of others is the seeming ad-hoc way in which these quarantines have been implemented.